There's nothing I love more (apart from an XL stuffed crust pepperoni pizza) than a good old leopard and stripes combo. As much as I love my leopard boots, I've never actually owned a coat in the print (shock horror), so I thought it was about time I added one to my wardrobe. Since the other 5 million coats in there are pretty outrageous and in-your-face, to say the least, I set my sights on a much more muted take on the leopard print trend. It's the perfect piece to tone down my outfits a little, whilst still adding that little bit of sass that I crave in my looks. 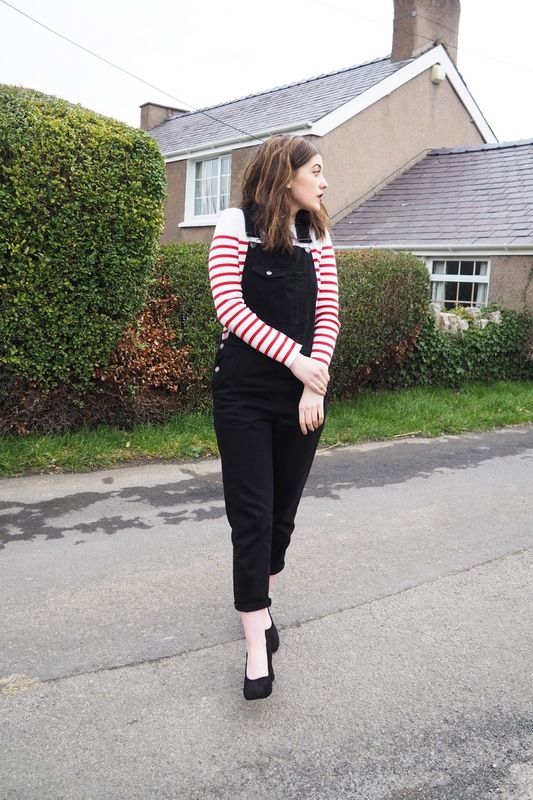 Obviously, I can't go all-out chic and glamour, so I added my trusty dungarees into the mix. They add the perfect amount of playfulness to an otherwise classic look. This is such a wonderful look! 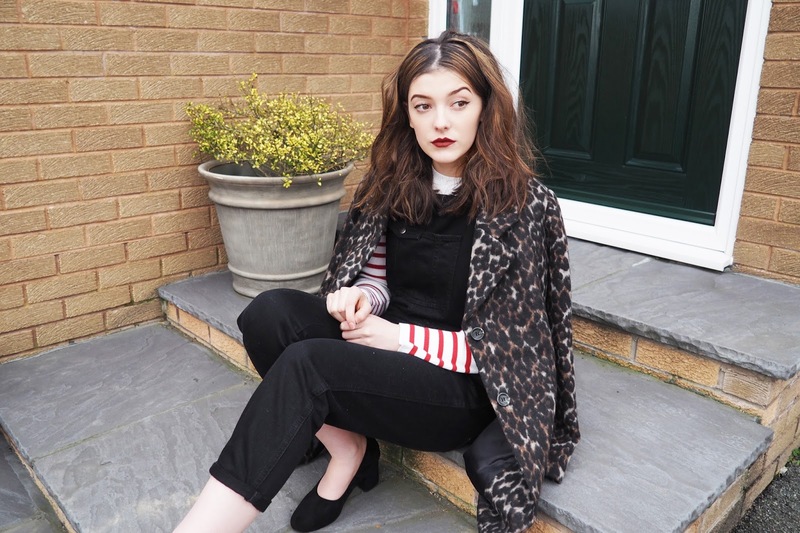 I love the stripes and leopard print combination, I think I need to try that myself. Thanks for the inspiration! Thank you! It sounds like such an odd combination but they go so well! Aw thanks so much! The shoes are perfect if you want a little height but something that's still easy to walk in.